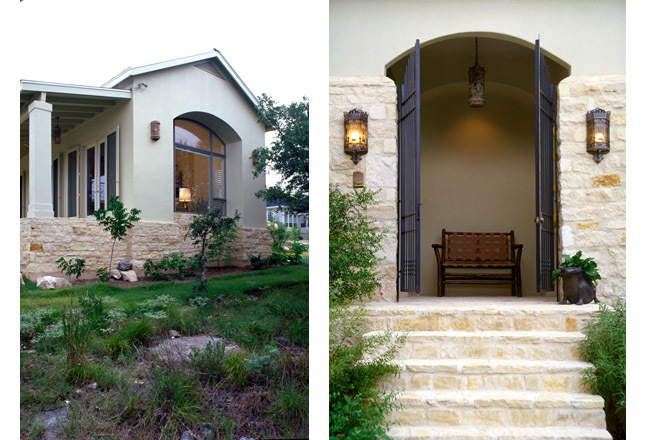 Lettunich Residence | Robey Architecture, Inc. This residence was designed for a couple with grown children. 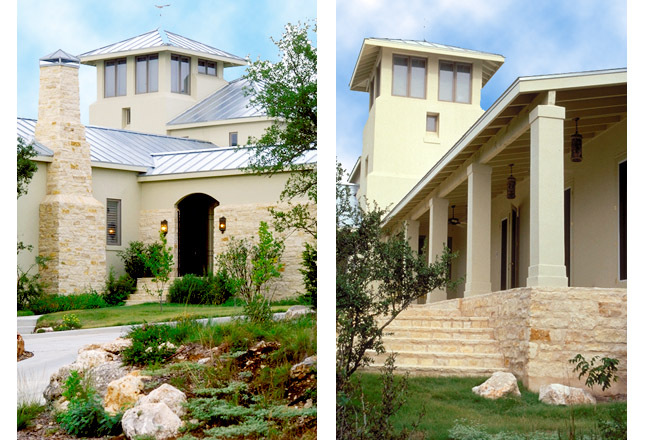 The design of the home synthesizes the owners’ love of the Texas hill country and Tuscan architecture. 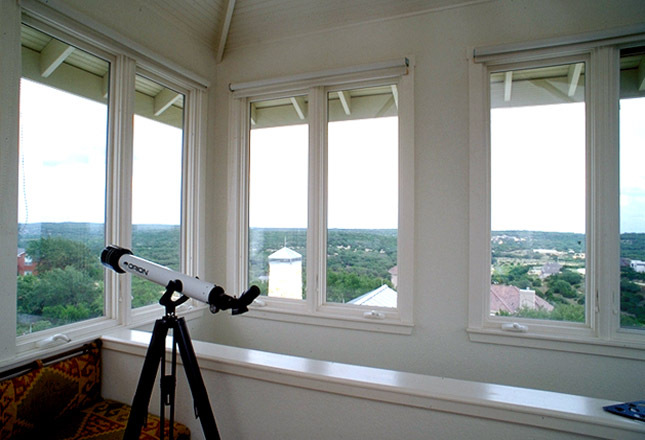 The L-shaped floor plan is oriented to take full advantage of both the predominant southeast breezes and the views of downtown San Antonio. A large stone terrace acts as an outdoor living area and is the focal point of the house. 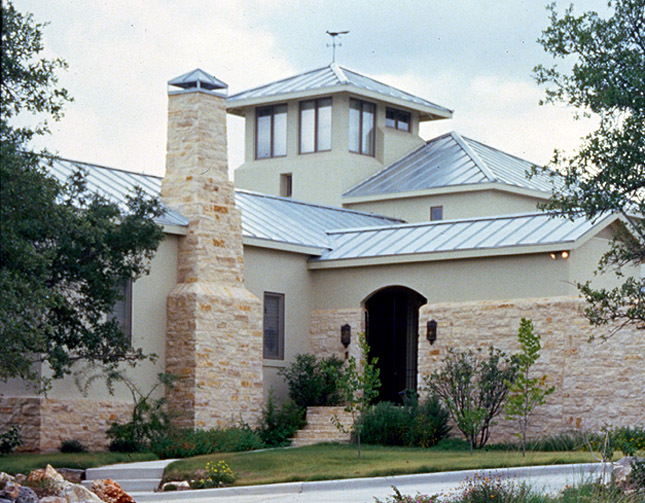 The house is predominantly stucco with standing seam metal roofs. 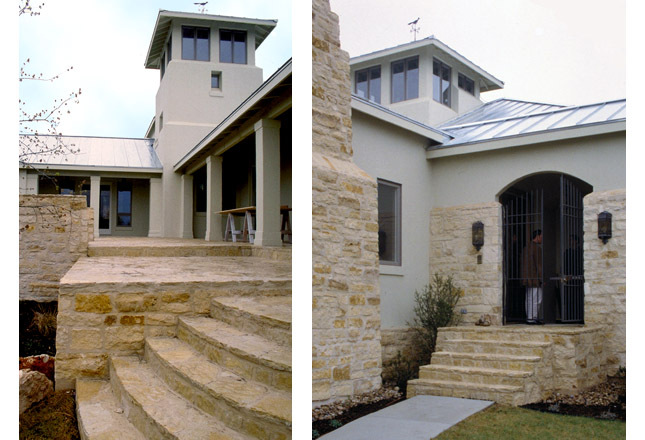 A continuous limestone base at the floor line appears as a watertable on the building’s exterior. The site appears to have been left in its natural state with cactus, live oaks, and natural rock outcroppings. Native landscaping has been introduced to augment the existing landscape around the house’s perimeter.